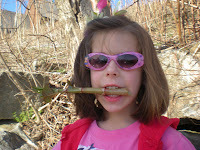 Japanese knotweed (Polygonum cuspidatum) is a wonderful wild edible, but a horrible invasive species. It came originally from Asia, and has spread to the US from the UK as an ornamental plant for it's pretty white flower sprays in summer and fall. It spreads mainly through rhizomes underground, but the seeds have "wings" to better ride the winds. Japanese knotweed looks like a red-speckled asparagus in it's early stages in the spring, but the leaves quickly unfurl and the smooth, hollow stems grow very tall. There are several very distinct identifiers, including the jointed stem which looks like bamboo, a membranou s sheath at each of the stem joints, and leaves that are broad with an oddly straight base and a pointy tip. Japanese knotweed will grow just about anywhere, next to water, on the side of the road and railroad tracks, anywhere there is ample sunlight. It will also grow in just about any type of soil, so it easily excludes native vegetation. The thick layer of decomposing dry stems will outmulch all competitors. This is our first year of Japanese knotweed. We found a few poking up in late March, and they are really growing at a fast rate now. What we cut down one day is ready again in two more days. 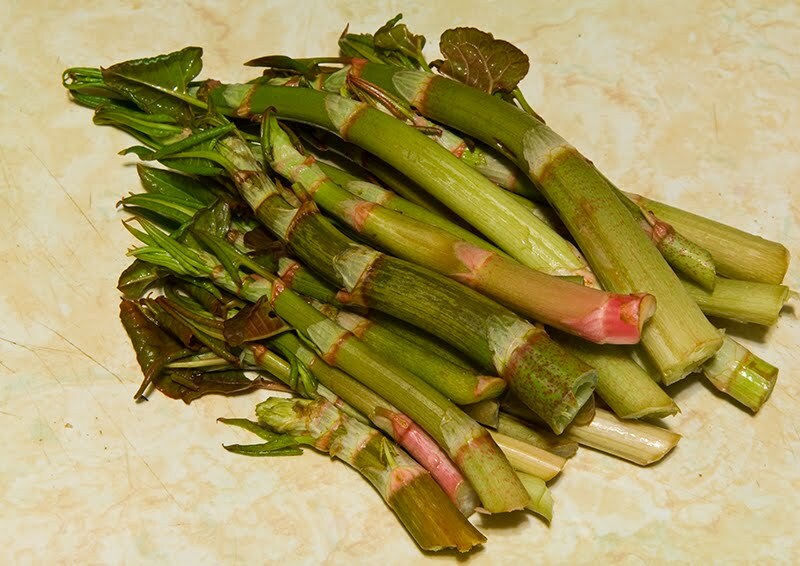 The flavor of the raw knotweed is similar to rhubarb, with a slightly green flavor. We have been cutting shoots about 8" tall. We have started a small batch of wine and made a dessert bar recipe with the peeled, chopped shoots. 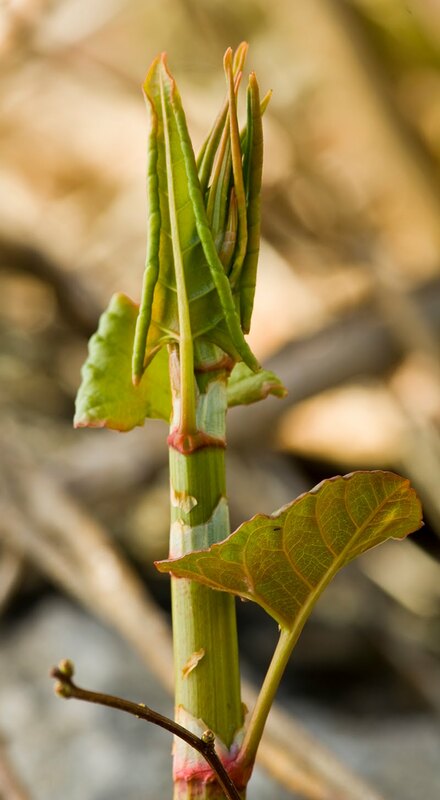 Japanese knotweed is known by other names like Mexican bamboo, Japanese fleece flower and crimson beauty. It also has several different Latin names--Polygonum cuspidatum, Fallopia japonica, or Reynoutria japonica. 1. Heat the oven to 350°. Grease a 11"x7" pan. 2. Put crust ingredients into a food processor and pulse to coarse crumbs. Press the crumbs into the bottom of the pan and bake for 12 minutes. 3. For the filling, whisk all ingredients together except for the knotweed pieces. Stir in the knotweed, and spread the mixture over the hot crust. 4. Bake for about 35-40 minutes. 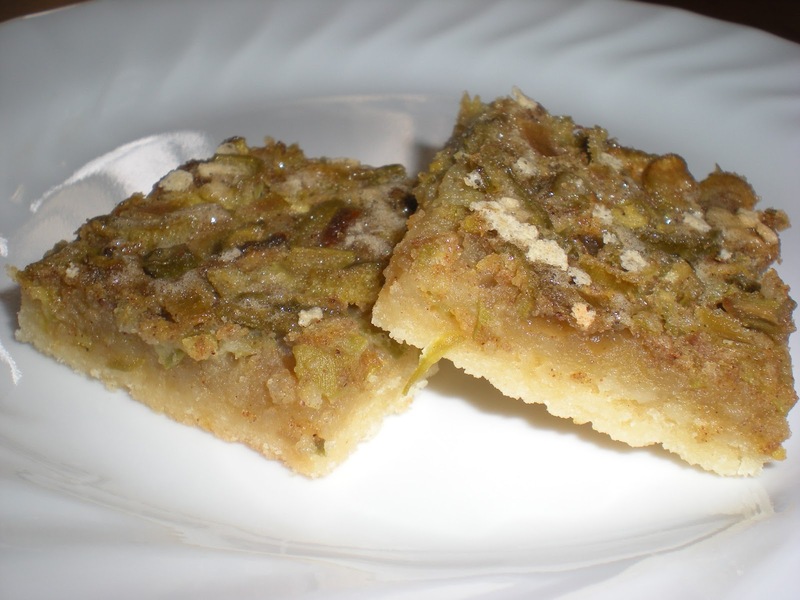 Cool and cut into bars. I've never noticed it before, I will be keeping my eyes peeled for it! Is it only edible in the spring when new? It appears to be desirable in the spring, when the growth is small and less stringy. As it matures, it becomes very dry. 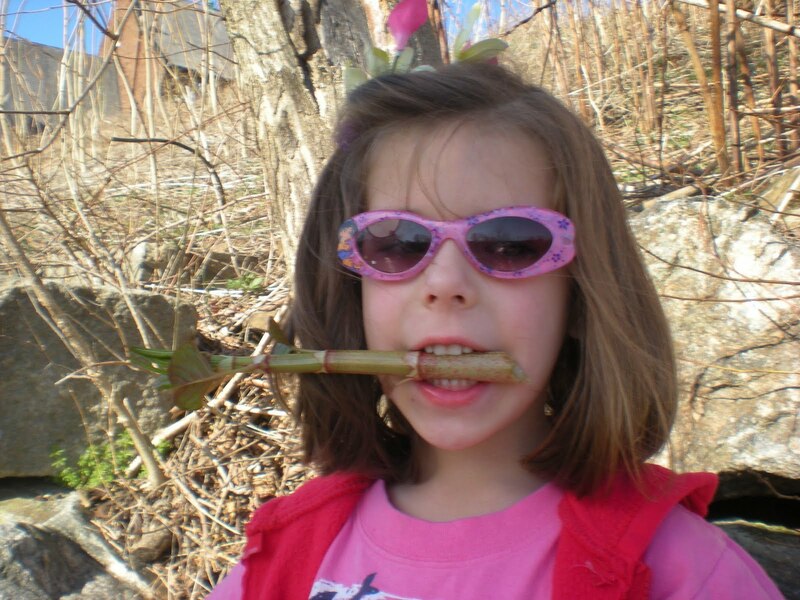 As kids, we used to smack each other around with the hollow stems, and make blow-dart guns too. If someone pointed it out to you, you would say "Oh, that crap!" because it is so incredibly abundant, especially in the Boston areas, as it was first introduced there. So I use just the stems, not the leaves, and they need to be peeled? I finally found a couple of patches and I'm going to try a vegan version of your recipe this weekend! Those japanese knotweed squares look yummy!! I just made these last night and I cannot stop eating them! Now it is breakfast time and guess what I'll be eating?